7.3" x 9.7" stitched on 14 count. 5.7" x 7.6" stitched on 18 count. 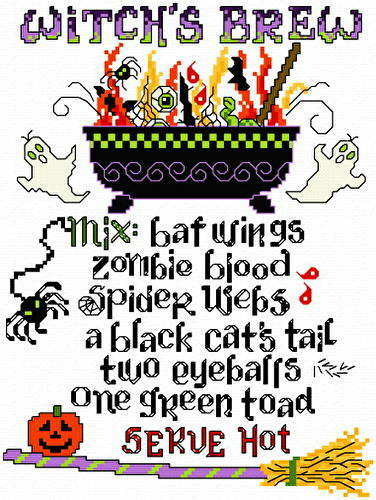 Witch's Brew cross stitch pattern... A nasty recipe for your Halloween home.